“I wish my Galo brothers and sisters on the joyous occasion of Mopin that marks the beginning of the spring season, a symbol of peace and joy. I join you all on this joyous occasion with great zeal and enthusiasm,” Khandu said in a festival message here this evening. He lauded the Galos, one of the major tribes of the state, for safeguarding their rich cultural heritage and for being a churning ground for luminaries of the state. While offering prayers to Ane Mopin for a prosperous life ahead, Khandu emphasized on the need to preserve the distinct cultural identity of the indigenous communities along with their respective languages. 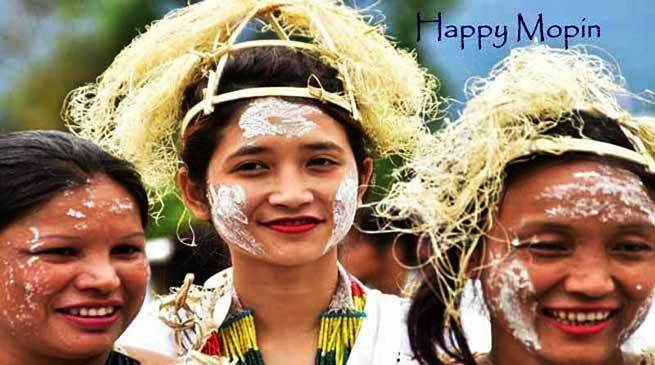 “Let’s all join this festival of white, symbolising peace and prosperity, with our Galo brethrens and express our gratitude to them for their contributions in the progress of our state,” Khandu added.